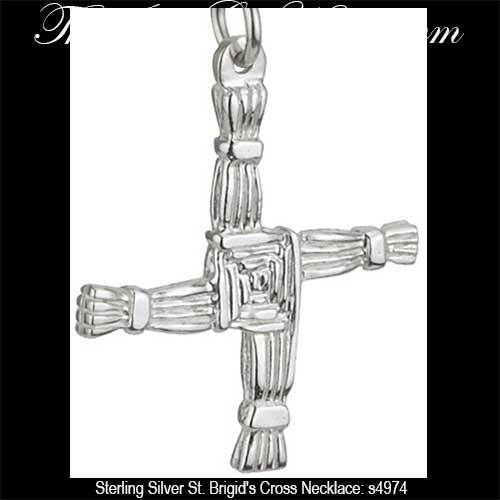 This St. Brigid's cross is fashioned in sterling silver and it is our most popular necklace in this field. This sterling silver St. Brigid's cross necklace is a traditional design that measures 7/8" wide x 1 1/8” tall, including the jump ring and the bail. The double sided St. Brigid's cross pendant includes an 18" long sterling silver chain.